The prime objective of assessment in the PYP is to provide feedback on the learning process. 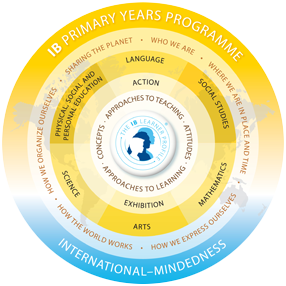 All PYP schools are expected to develop assessment procedures and methods of reporting that reflect the philosophy and objectives of the programme. Assessment involves the gathering and analysis of information about student performance and is designed to inform practice. It identifies what students know, understand, can do, and feel at different stages in the learning process. Students and teachers should be actively engaged in assessing the students’ progress as part of the development of their wider critical-thinking and self-assessment skills. Everyone concerned with assessment, including students, teachers, parents and administrators, should have a clear understanding of the reason for the assessment, what is being assessed, the criteria for success, and the method by which the assessment is made. The entire school community should also be concerned with evaluating the effectiveness of the programme. if students are demonstrating both independence and an ability to work collaboratively. Recording—how we choose to collect and analyse data. Assessing: how do we discover what students have learned? Student learning is promoted through planning and refining the teaching and learning process to meet individual or group needs. Assessing the students’ prior knowledge and experience as well as monitoring their achievement during the teaching period will enable teachers to plan and refine their teaching accordingly. Teachers should bear in mind that a well-designed learning experience will provide data on students’ knowledge, skills and conceptual understanding, and is consequently a vehicle for summative or formative assessment. Formative assessment provides information that is used in order to plan the next stage in learning. It is interwoven with learning, and helps teachers and students to find out what the students already know and can do. Formative assessment aims to promote learning by giving regular and frequent feedback. This helps learners to improve knowledge and understanding, to foster enthusiasm for learning, to engage in thoughtful reflection, to develop the capacity for self-assessment, and to recognize the criteria for success. There is evidence that increased use of formative assessment particularly helps those students who are low achievers to make significant improvements in their understanding. The reporting of assessment and student achievement is done through various ways at different times throughout the year.